Wait a second, Dessert Hummus? 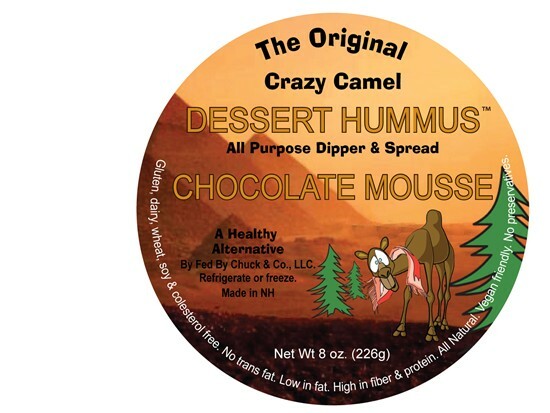 Crazy Camel produces dessert hummus that according to them, has the “same calories as traditional Hummus, but half the fat!” These hummus’ are gluten free, vegan, dairy free and are all natural. They come in Chocolate Mousse, Pumpkin Pie, Peanut Butter, Toasted Almond, Maple Walnut and Caramel Apple. They promote their hummus as a great alternative to other desserts, because it is not only delicious, but nutritious! Well, I was sent a variety pack of their flavors by the company in the mail. Unfortunately, I only got to do a review of the chocolate mousse and caramel apple flavors. I was excited to receive these, but nervous at the same time. I have tried Sabra Hummus in the Roasted Garlic flavor- and that hummus was in NO WAY, SHAPE, or FORM, sweet, or dessert like. In fact, what was I going to eat these new desssert hummus’ with? Well, I got creative. I tried the caramel apple flavor first. I opened the tub (which was VERY tightly packed!!) and looked at it. It was brown, with visible apple chunks. I took a sample of it with my finger- yum! It definitely had more of a caramel flavor than apple, but it was still yummy. The apple chunks reminded me of apple pie, soft, but still had shape and a little chew. The consistency overall was a mixture of applesauce and pumpkin puree. I dipped apple slices in it and crackers. Delicious! I would imagine this mixed with greek or regular vanilla yogurt would be AWESOME! Chocolate Mousse- ooh- now this ones yummy. By itself it wasn’t super sweet, but more chocolatey. It has a mixture of a brownie batter/chocolate cake mix taste, and was actually “fluffy” in consistency. But a-ha! I had an idea. I mixed this chocolate mousse flavor with a scoop of Suzanne’s Ricemellow Creme- INSTANT INSANITY! Like, so good! I had it on 2 slices of whole wheat bread for a chocolate-fluff sandwich, and I also used this hummus as a dip for pretzels. Amazing! Overall, these are certainly yummy. Of the 2 I reviewed, I didn’t taste ANY chickpea flavor at all. Truly dessert-worthy hummus! I give them 4 stars, as they were tasty, had no refined sugars, and ever provided some filling fiber! I can only imagine the possible food combinations one can create with these. If you have any, let me know! 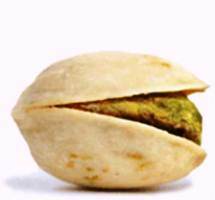 *TIP- If you get some of these, REFRIGERATE IMMEDIATELY. If you don’t plan on consuming them within 21 days, FREEZE THEM! They do not have preservatives, and will spoil quickly! Caramel Apple- 28 grams is 60 calories, 1 gram of fat, 12 carbohydrates, 2 grams of fiber, and 2 grams of protein. Chickpeas, Evaporated Cane Juice, Dried Apples, Safflower Oil, Caramel Extract, Apple Extract. Chocolate Mousse-28 grams is 60 calories, 1 gram of fat, 11 carbohydrates, 2 grams of fiber, and 2 grams of protein. Chickpeas, Evaporated Cane Juice, Cocoa, Safflower Oil.